"It was a very important message to the collective organization: We're going to make changes based on the feedback we're getting from our customers, and we're going to do it as quickly as we can." DETROIT — Earlier this decade, Ford Motor Co. suffered a series of bungled product launches, small-car transmission issues and infotainment nightmares that put its J.D. Power Initial Quality Study scores near the bottom of the pack. Although it still faces problems, including a massive door-latch recall which was expanded in March — and includes more than 230,000 vehicles in Canada — and dented profits, the automaker last week hit an important milestone: The Ford brand achieved its highest mark since the study started 30 years ago, placing fourth overall and second among nonluxury makes. It tied for fourth with Ram and trailed Porsche, Genesis and Kia, which again grabbed the top spot. "They really rolled up their sleeves and improved things across the board," Dave Sargent, vice president, global automotive at J.D. Power, said in an interview. "A lot of things sort of came together this year." 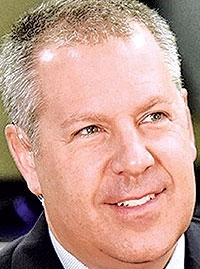 Joe Hinrichs, the former CEO of Ford Canada who is now the automaker's president of global operations, credits the turnaround to a series of moves the company made in the first quarter of 2013, a few months after he took over as president of the Americas. That year, Ford placed 27th overall in the annual study, with a troubling 131 problems reported per 100 vehicles. The company was facing a host of launches the following year — including the redesigned F-150, Mustang, Edge and Transit — and was eager to get things right, he said. "It really was about total leadership engagement and commitment to being best in class and allowing people the opportunity to tell us what it takes to get there, and then supporting them to do that," Hinrichs told Automotive News. "Quality progress doesn't happen without direct leadership engagement and creating an environment where we can talk about the issues and work to solve them." Hinrichs instituted a weekly leadership meeting to do just that. Every Monday at 4 p.m., roughly 15 members of Ford's North American leadership team would gather for a deep dive into each nameplate's status. The weekly meetings paid off quickly when executives learned of complaints with the interior and center console of the recently redesigned Fusion sedan and Escape crossover. Ford hadn't planned significant interior updates for those products' midcycle freshenings, but after feedback in the Monday quality meeting, it decided to make significant changes. Those included adding a rotary knob shifter in the Fusion and updating the interior and shifter position of the Escape. "It was a very important message to the collective organization: We're going to make changes based on the feedback we're getting from our customers, and we're going to do it as quickly as we can," Hinrichs said. He also reorganized a once-a-year fall gathering of the entire leadership team for a half-day quality summit to go over that year's plans for each vehicle. It was a meeting Ford had instituted in the past but had discarded. "It was about creating an environment where people could ask for help," he said. To help catch issues before they became major problems, a group of three people — Hinrichs, Ford's North American head of engineering Frank Davis and the product launch manager — began bringing a vehicle to Dearborn, Mich., at each stage of that vehicle's build process so they could sit in it and observe progress. "All the launches we've had have gone much better, and a lot of that had to do with us just having a small team come together and go through the latest builds and see the progress physically, as opposed to seeing data on paper," Hinrichs said. 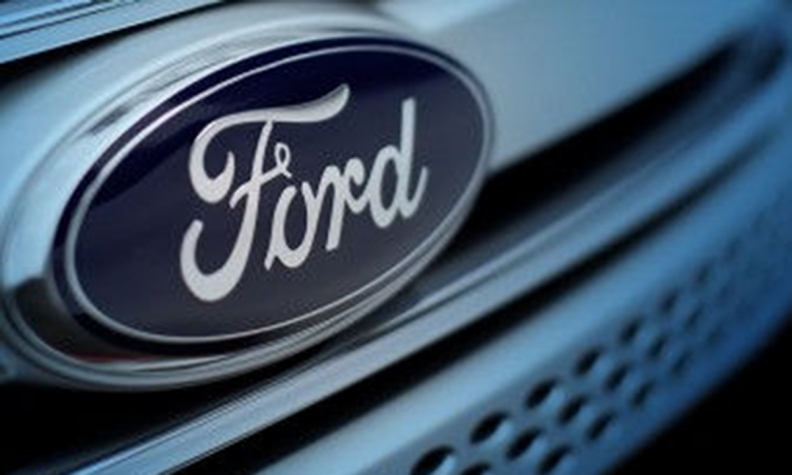 The company also listened to its suppliers, who complained Ford was releasing final designs too late in a launch process, creating production issues. To remedy that, Ford began finalizing designs sooner, and it offered suppliers additional engineering and technical resources. Hinrichs has said there's added pressure to have the right design from the start because Ford has been consolidating the number of platforms it uses to build vehicles, meaning that a recall could affect much higher numbers of vehicles than in the past. One of the biggest changes Ford made was to its much-maligned infotainment system. The previous MyFord Touch had been lambasted by independent studies and gave customers, including Ford's top executives, trouble when it would freeze or crash mid-drive. In early 2013, executives gathered to approve the spending plan for Ford's next-gen system: Sync 3. Hinrichs said there was talk about scaling back the number of vehicles in which they offered the system to avoid more dents in Ford's quality scores, although the company ultimately chose to forge ahead. "The data was very strong: The customers wanted the technology; they just wanted it to work," he said last week. "Instead of backing off on the penetration rates, we decided to spend our money, energy and time on developing an even better system." That included moving much of the work in-house and switching partners from Microsoft to Canada's BlackBerry QNX, although Hinrichs noted that Microsoft was a big part of making progress in fixing the MyFord Touch system "in areas that really were not their fault." The resulting Sync 3 system has scored well. Sargent said last week that infotainment is now a competitive advantage for Ford. "They've also made a lot of other strong improvements in terms of powertrain and other features on the vehicle," he said. "Honestly, I would say Ford was probably the strongest improvement because it's across such a wide product line." Ford's Lincoln brand, meanwhile, ranked ninth, ahead of most of its luxury rivals. Ford has the opportunity to improve again next year, Sargent said, because it doesn't have many vehicle introductions. According to the annual Bank of America Merrill Lynch "Car Wars" report, only 4 percent of its volume will be replaced. But a 50 percent volume​ replacement looms in 2020, according to "Car Wars." "When you launch that much of your volume, there are always inherent risks," Sargent said. "There's no doubt that will be a real test for them." Ford believes it can meet that challenge. "We're working hard to make sure we keep improving," Hinrichs said. "The competition is not stopping, and we won't stop either. We want to be best in class." *No other model in this segment performs above segment average. There must be at least three models with 80% of market sales in any given award segment for an award to be presented. The Large Premium Car segment did not meet criteria to be award eligible, thus no awards will be issued.